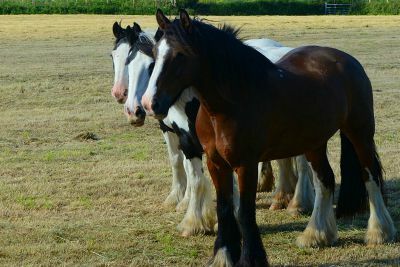 Suitable for all levels of rider from novice to experienced, this trek will go at a slow pace (walk and trot only). 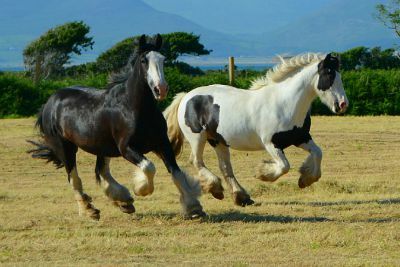 It is a gentle trail ride where you can take in great views of The Ring of Kerry, Dingle Mountains and the Castlemaine Harbour. A trek never to be forgotten! We leave our yard and head for Curra Mountain taking in the world renowned Horseshoe Valley. We then head down to Rossbeigh beach with spectacular views of the Dingle Peninsula, Castlemaine Harbour and Rossbeigh beach. 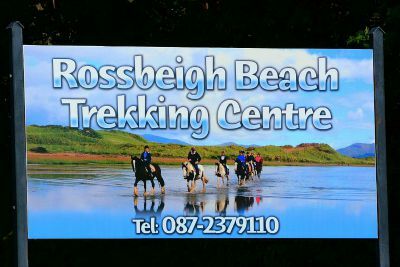 The second hour of the trek is spent on Rossbeigh beach. 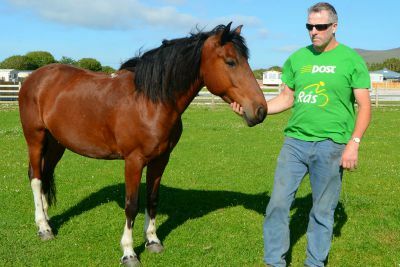 Riders will walk, trot and canter depending on individual rider’s experience. 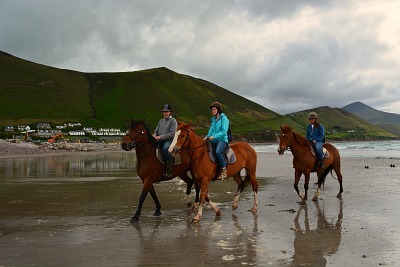 Rossbeigh beach provides us with miles of sandy beach to canter along. Half day Trek (Three to Three and a half hours). Super Saver Trekking Rates For 2019 Season! Mountain(alternate route) and Beach Trek. Three-Three and a Half Hours. Mountain, Valley, Village and Beach Trek.